"I was on some great teams before the Vikings, but it wasn't until I got to Minnesota that I really felt at home." Joe Berger wasn't a big time offensive lineman from a well known college program. He found his way to the NFL via the 6th round by way of Michigan Tech. University. Berger was drafted by the Carolina Panthers in '05, only to end up with the Dolphins the following season. Then he would bounce from Maimi to Dallas, then back again. In '11, Berger found himself a home in Minnesota. He spent seven seasons in the purple, the last three of which were the best of his career. Berger made himself a valuable asset to the team by being able to play all three interior OL positions. After completing his 13th NFL season, Berger decided it was time to hang up his horns. 13 seasons in the NFL isn't a small accomplishment, and replacing a guy with his versatility will be no easy task. 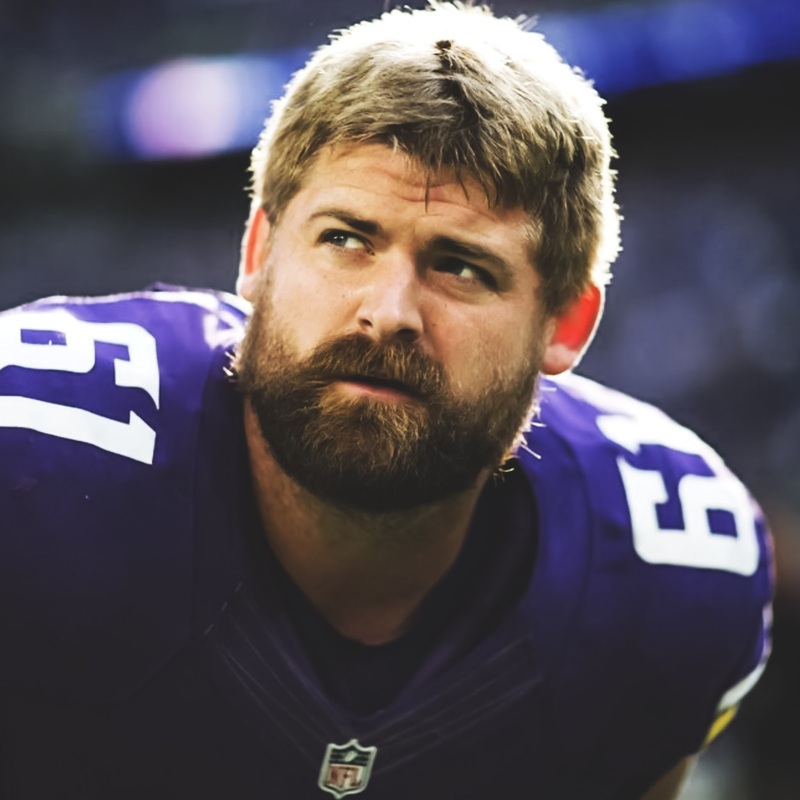 As the Vikings look towards the draft in April to find a new, we at VKNT would like to thank Joe Berger for the past seven years, and wish him all the best as he moves on to his next chapter. SKOL Joe!